Jack McDermott, who appeared in this year's Big Brother show, is set to make his debut as a football commentator. "I'm known for being opinionated, but I'll make sure that when I'm speaking it's in a manner suitable for radio." Known as 'Pieface' to his friends, he is a regular face at most of Argyle's matches both home and away. He turned down the chance to find out the club's League Two play-off semi-final result against Wycombe Wanderers while in the Big Brother house in order to add £1,000 to the winners' prize fund. 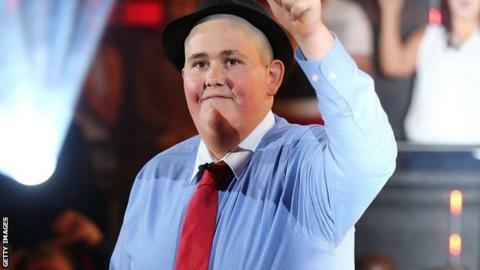 McDermott won £23,900 after he finished fourth in the realty show and is now hoping for a career in the media after quitting his job at McDonald's. "Before I went into the Big Brother house I wasn't very keen to do things," McDermott added. "But when everything is stripped back and just down to you, you learn about what's important to you. "I'm just trying to enjoy life now, not necessarily out partying as such, but doing things that I enjoy." McDermott follows Bastille drummer Chris 'Woody' Wood as a celebrity summariser for Plymouth Argyle matches. "I watched most of Big Brother over the summer and it was so refreshing to have an Argyle fan on," said BBC Radio Devon's sports editor Alan Richardson, who will be alongside McDermott in the commentary box at Home Park. "His love for the Pilgrims was always apparent on the show and I thought it would be great to give him a chance to share his views with the world." Listeners can tune into to the game on 95.7 FM in Plymouth or through Plymouth Argyle's website.